In many respects the Eastern Cape is a microcosm of the best of South Africa. Here are swathes of surf-lashed beaches, big industrial cities, desert horizons and green and quiet walking trails winding over mountain passes and along coastal cliffs. There is also a super abundance of wildlife and a diverse network of national parks and game reserves in which to enjoy the animals. In general the parks and reserves in this region are smaller than those in the northern half of the country and lack something of the grand scale and wilderness feeling found in other areas. 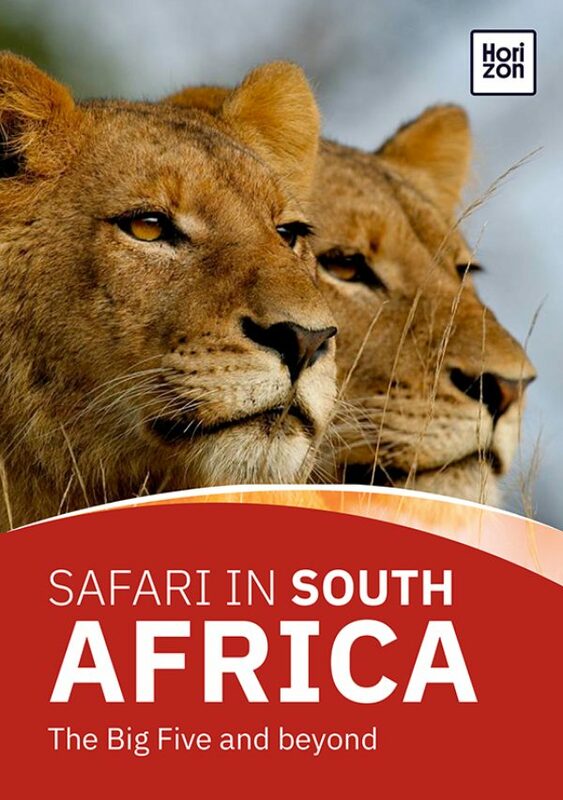 Even so, with all the Big Five present, this is a great short safari destination. Throw in easy access from major travel hubs, excellent tourist infrastructure and the possibility of slotting beaches, Cape Town and other attractions into the mix, and you’ll understand why the Eastern Cape is one of the most rewarding and deservedly popular wildlife destinations in South Africa. Eastern Cape contains many different ecosystems and this is reflected in the large range of different, and very diverse, species found here. How diverse? Well what would you think if we said that in the morning you could watch a lion yawning under the shade of a spreading acacia tree, and in the afternoon you could giggle at penguins, those classics of the ice-pack, waddling comically up a sub-tropical beach? All of the reserves and parks listed here are home to buffalo, elephant, rhino, lion and leopard as well as a multitude of other big mammals. But the bird life is equally spectacular and includes some regional endemics. Talking of endemics, who would want to miss out on a date with the flightless dung beetle, Addo Elephant National Park’s endemic insect! Okay, so a photo of it isn’t going to wow your friends the way a picture of a snorting hippo might, but it does go to show what a depth of wildlife watching opportunities the Eastern Cape has. Eastern Cape is a wildlife-watching destination all year round, but the prime months are April, when the summer rains should have ceased, the countryside is lush and green, and the temperatures are pleasant, and September and October when spring flowers bud in the semi-desert Karoo area. This, one of South Africa’s largest national parks, is best known for its namesake elephants. But this diverse park, which includes river valleys, mountains, savannahs, forests and beaches, has much more to offer. A few lions saunter in and out of the shadows, and buffalo, various antelope and even rhino are all present, but there are also plenty of unexpected safari animals including Cape fur seals, penguins, southern right whales and, for those brave enough to go for a paddle, great white sharks. But it’s those elephants that most people come to see. When the park was formed back in the 1930s there were fewer than a dozen elephants here. Today there are more than 600 and sightings are almost a given. As well as fantastic wildlife, Addo has excellent tourist facilities and accommodation, easy access, a good road network and, with hiking, kayaking and horse riding, plenty of activities to get you out of the cramped safari vehicle. This is also one of the better family safari destinations. Amakhala might be a relatively small private reserve (around 75 sq km), but then again the best things do come in small packages. Formed after a number of local landowners agreed to pull down the fences and devote their rangelands to wildlife conservation and safari tourism, Amakhala has all the Big Five, as well as cheetah, zebra, giraffe and wildebeest. Expert guides will ensure that most visitors get to gawp at all these animals. Amakhala has a good range of accommodation and caters to most budgets. The family-owned and managed Kariega is a 10,000 hectare private reserve made up of former ranch and farm land. Restocked, as almost all the parks and reserves in Eastern Cape have been, with native wildlife that was wiped out in the 1800s and 1900s, Kariega today has thriving populations of all the classic large mammals of southern Africa. The coastal bush and lush river valleys give the reserve a rare scenic beauty and with a combination of quality accommodation, superb guides, lots of different activities and proximity to the beaches of the Garden Route, Kariega is almost the perfect destination for a short safari break. At 6,000 hectares the Kwantu Private Game Reserve is a relatively small reserve by African standards, but with all the Big Five present as well as a host of less celebrated creatures it’s easy to fill several safari days here. As with many Eastern Cape reserves, a heart pumping vehicle safari is not the only reason to visit. The reserve also offers swimming pools, top-class accommodation, a domestic animal “touch” farm, herb garden, reptile centre, museum and sports. You’ll hardly have time to go looking for lions! This is also a highly recommended family safari park. The reserve is open to day visitors (although they must use a park vehicle and have a guide) which can reduce the exclusivity aspect a little. Spanning five different ecosystems and home to an impressive range of plants and animals, this malaria-free, Big Five reserve is the only private reserve in the Eastern Cape that has no public roads running through it. This means that the wildlife here (which as well as the Big Five also includes zebra, impala, giraffe, cheetah and jackal among others) can be seen in a still and pristine environment that feels a long way from human hands. Fortunately though, civilisation and a gin and tonic is always on hand at one of the park’s luxury lodges! Being only about an hour from Addo Elephant National Park as well as the city of Port Elizabeth, means that Lalibela is easily and painlessly reached. Being very close to the sprawling city of Port Elizabeth and open to day guests (though only those who take one of the reserve’s organised safaris), means that Pumba Game Reserve receives a lot more visitors than some of the region’s remoter parks. As with any Eastern Cape reserve worth its salt, Pumba has all the Big Five as well cheetah, hippo, 300-odd bird species and unusual white lions. As well as safaris other activities include walking safaris, nocturnal game drives, specialist birding safaris, fishing, archery - and there’s even a spa for good measure. Perhaps the best regarded - and most exclusive - of all the private game reserves in the Eastern Cape, Shamwari is a short drive to the east of Addo Elephant National Park and like that park is home to a large number of classic African safari mammals including rhinos, elephants and lions. What makes this park really stand out from the wildebeest herd though are the range of activities available alongside classic safari drives. There’s a rhino awareness centre, and a big cat sanctuary, plus field guide courses and conservation volunteer opportunities for those who want a deeper look at South African conservation techniques. And, with a dedicated children’s coordinator and a range of child-friendly activities, this is one of the better family safari destinations in the country. Shamwari is only open to guests at its very plush lodges and the Edwardian manor house. There’s a wide choice of accommodation in Addo Elephant National Park with something to suit most budgets. For something special try Kuzuko Lodge or the River Bend Lodge. The private reserves all have their own, mostly upmarket, lodges and camps. See the individual park websites for details of these. Hunting and alternative land use decimated populations of large mammals throughout Eastern Cape in the 18th and 19th centuries. Today, most of the private reserves in the region have been restocked with native wildlife and numbers of all the big mammals are rising fast.